Helen Sunderland (@hl_sunderland) looks back at the events of 2018 and how DHP covered them. 8. School attendance medals: a status symbol? We're running a Twitter chat for this year’s World Digital Preservation Day on Thursday 29th November between 12 and 2pm (GMT). The chat will use the hashtag #WDPDhistory. Find us on Twitter @dhiptweets. How has protest in Europe evolved? : An Interview with Dr Hanno Balz. Cambridge PhD students Bethan Johnson and George Severs (@GeorgeSevers10) talk to Doing History in Public about their recent Festival of Ideas panel Forms of Extreme Protest in the Post-War West. Doing History in Public has teamed up with Cambridge Digital Humanities to give two training sessions on blogging for researchers as part of this term's Learning Programme. How will museums look in the future? That’s the question that the #FutureMuseum Project seeks to answer. Through an online collaboration platform, international experts in the heritage sector have been sharing their views about how the industry will change in coming years. One of the most prominent ideas is that the success of future organisations will be determined by their ability to engage with visitors, with ‘experience-driven’ enterprises expected to thrive. How can these predictions influence the way museums interact with their visitors today? With over 2,500 museums, the UK has plenty of options for museum-lovers, including national, local, university and science museums, all of which have their own focus. Arguably the most interactive experience is offered by open-air or ‘living’ museums. These organisations have shifted away from traditional ‘indoor’ museum spaces to ‘outdoor’ sites, offering visitors the chance to immerse themselves in the day-to-day activities of the past by wandering through reconstructed towns and villages. Petitions, marches and referendums have been in the news a lot lately, manifestations of frustration from people who do not feel represented by those in power, and so undertake direct action in an attempt to gain leverage, produce change, or simply quell an increasing feeling of powerlessness. I am of course referencing the online petition to revoke article 50, which as I write has amassed 6,065,623 signatures and rising, comfortably securing the title of most popular online petition in the history of online petitions. The government responded to this petition on the 26th March, asserting ‘this Government will not revoke Article 50. We will honour the result of the 2016 referendum and work with Parliament to deliver a deal that ensures we leave the European Union’. As a historian, I strongly believe in studying history for its own sake, rather than from today’s perspective. As someone who devours news from every type of media outlet, I cannot help but see the connections between the news on the Democratic Republic of Congo and my research on Belgian colonialism. Barely a day passes without news from the Congo. A simple search on Google brings up numerous stories, almost all about conflict, disease and violence. A lot of ink has flowed about the continuing political unrest in the DRC following the presidential elections in December 2018. There seems no end to the stories about the struggle against ebola. Then there is the sad story of the shooting of a ranger in the Virunga national park, barely months after its reopening. Thanks to programmes like Who Do You Think You Are? there has never been more interest in family history. Since the turn of the century, family historians have started to look beyond traditional records such as the census, and birth, death, and marriage indices to new scientific methods. DNA tests are now being used to shed light on ethnic or biogeographical origins and to identify genetic relatives. In 2017, more people took an ancestry DNA test than in all previous years combined. Moreover, it is estimated that by 2022, the genetic testing market will be worth approximately £261 million. The ease and reasonably low cost of heritage DNA tests has made this technology accessible to everyone. So, with that in mind, I decided to give it a go. My experience as a student at Cambridge centred around the feminist activism I chose to get involved in, as part of the Women’s Campaign. I learned that feminist work is legacy work in the physical spaces I shared and created with women and non-binary people. My involvement in these spaces led me to run for my current position as the full-time Women’s Officer on the students’ union (CUSU), where I work closely with people who influenced my feminist activism. Christine Pungong, the current CUSU and GU Welfare and Rights Officer, was one of the first people I met when I joined Cambridge as an undergraduate and has been part of my feminist community during the last four years of our involvement with the Women’s Campaign and student organising. The Our Streets project, a collaboration between the Women’s Campaign and Welfare portfolio, represents these kinds of feminist communities that enable us to survive in these spaces, legacies which are often missing from our depiction of Cambridge as an intensely competitive environment. Under the Jim Crow laws (1877-1950s), segregation based on race was legally justified in the United States.1 The key Supreme Court ruling in Plessy v Ferguson (1896) was that it was not unconstitutional to enforce racial segregation, so long as segregated facilities were “separate but equal”.2 However, it is well known that the services available to African Americans were extraordinarily inferior and underfunded. By examining three modes of travel, this post hopes to shed light on the realities that African Americans faced under the Jim Crow system. One of the most pleasurable parts of archival work is discovering new stories, narratives and characters. In the type of work I do (early modern social history) some subjects seem to jump out of the page, demanding attention. Take, for instance, the case of Sara and Elizabeth Mayhew, two women who were taken to court for slander in 1617. The Mayhews were accused of sowing ‘discord, debate and strife’ amongst their neighbours. They had a particular antipathy for Dr. Wells, the vicar of Brockely. The Mayhews interrupted Wells as he attempted to deliver service, sang bawdy songs outside his door, and called his children ‘priest bastards’. Veganism seems to be the word of the moment. As we come to the end of ‘Veganuary’, it is estimated that a record-breaking number of individuals signed up to ditch meat and dairy for the month, with 14,000 people signing the pledge on 30th December 2018 alone. As scientists are urging us to cut back on animal products, animal rights ethics are coming into play with environmentalism to create a seemingly unstoppable train. However, whilst some people see this as a fad, veganism, or at least the philosophy behind it, has a long history. It is comforting to think of the collecting of human heads as existing in the distant past. When visitors to the Pitt-Rivers Museum in Oxford marvel at the shrunken heads display, they do so under a combination of alterity and distancing. The process of shrinking the heads renders them distinguishable from life-sized heads, as does their distant geographic origins as creations by Amazonian ‘tribes’ bought by Victorians as souvenirs. Visitors to art museums also encounter human heads. Dubbed memento mori, the appearance of skulls in early modern European works of art was a leitmotiv reflecting mortality. Viewers of these paintings can relegate even this artistic practice as existing in a removed history, like the objects themselves. This post is related to my research for a recent conference paper on the influence of ancient coins on the portrayal of early modern British monarchs. It also highlights the possibilities of catalogues of coins collections as useful sources for early modern historians including insights into a monarch’s thinking and influences. This includes the one compiled by Elias Ashmole of the original English royal coin collection between 1660 and 1662. 2018 was another turbulent year in global politics. In March, Vladimir Putin was, unsurprisingly, re-elected as Russia’s President. Mobeen Hussain reflected in this blog post on how Putin’s popular appeal stemmed in part from rebranding the long-held idea of Russian exceptionalism. Tensions between Russia and the West have continued to increase. Just two weeks before Putin’s re-election, Sergei and Yulia Skripal were poisoned with a Novichok nerve agent in Salisbury. As Fred Smith noted in this DHP post, spying is often associated with modern times, but double agents also operated in sixteenth-century England. I was shown this sculpture by the local key-holder on a visit to Stanwick Church in 2014. It was a surprise and a joy to see this sculpted stone, which was not on display but languishing in a cupboard in the church vestry. The stone is the head of an early medieval cross, depicting an image of the crucifixion on one face, and interlaced foliage on the other. Christ’s arms end in three-fingered hands with the thumbs held apart, and a line across the left arm suggests he is robed. The centre of the cross is marked by a boss. Figural representations are the rarest surviving category of pre-Conquest sculpture, but the iconography is similar to a small group of other cross heads from Yorkshire and displays an Irish-Scandinavian influence. It is likely to date from the late ninth or early tenth century. The crude carving shows a low level of skill and a lack of iconographic knowledge from the sculptor, and this, alongside the number of surviving cross fragments found in Yorkshire, suggests that sculptures in this region were produced for secular patrons with varying degrees of wealth and education. The first ‘toothbrush’ is thought to have been invented in China in the 1400s, when bristles from the necks of pigs were fixed onto bone or bamboo handles. Before that, twigs were chewed on or split to form brushes and different flavours were used for freshening breath. The ‘modern toothbrush’ was invented by William Addis, who, whilst in prison in c.1780 in England, decided to improve on the traditional rag method used to clean teeth at the time. He carved a handle from a bone, proceeded to make little holes in it and then attached pig bristles onto it. When he left prison, Addis began producing toothbrushes and they were manufactured in England and aboard. More expensive designs were soon expected for the wealthy, with Napoleon Bonaparte owning a brush with a silver gilt handle and horsehair bristles. It was H.N Wadsworth in 1857 who received the first patent for a toothbrush and, in 1938, the first nylon fibre brushes were made. Image: Napoleon’s toothbrush, c. 1790-1821, made available under a Creative Commons licence. Valerie Strauss, ‘Ever wondered how people cleaned their teeth before they had toothbrushes?’ The Washington Post (2009). Museum of Everyday Life, ‘Prison, Suicide and the Cold Climate Hog’. Science Museum, London ‘Napoleon’s Toothbrush, Europe, 1790-1821’, Wellcome Collection. Museum of Everyday Life, ‘Prison, Suicide and the Cold Climate Hog’ and Made Up In Britain, ‘Tootbrush’. In May 1876, Margaret Merrifield wrote a letter home to her mother from Newnham College, Cambridge, where she had arrived as a student the year before. The College itself had only been founded a few years earlier, in 1871, with five students living in a rented house in Regent Street, Cambridge. In 1875, the first permanent buildings had been constructed on a piece of land near the village of Newnham, suitably removed from the men’s colleges in the centre of town, and surrounded by expansive grounds, perfect for taking exercise. It was about this that Margaret wrote to her mother. The British Embassy in Stockholm, 1956: Jane Holliday was considering her resignation from the Diplomatic Service. Precipitated by her anger at the treatment of women and a burgeoning romantic relationship with a senior diplomat, Holliday felt it was time to work elsewhere. Having spent some time in Sweden as a secretary and mastering the language, she came back to Stockholm after joining the Foreign Office. She arrived as the Personal Assistant to the Air Attaché and then worked for the Counsellor (No. 2 in the Embassy hierarchy). That very Counsellor ended up, as Holliday recalled ‘my future husband (though I didn’t know it at the time)’. The Embassy was a space of mixed emotions. Despite her linguistic talents, Holliday was often asked to venture beyond her job description. The Counsellor in question – who had been married twice with a son – felt the burden of being a bachelor and asked Holliday on numerous occasions to serve as his hostess at formal dinners. Yet the Foreign Office soon sent him to Laos. The Queen was due to make a State Visit to Sweden and Holliday suspected the ‘squeaky clean’ Embassy removed the Counsellor as he was filing for divorce. Holliday decided that she would resign after the Royal Visit. She was responsible for preparing the ‘Ceremonial’; the lengthy programme of The Queen’s trip. The visit marked a personal accolade in Holliday’s career, prior to becoming a diplomatic wife. Granted an audience with The Queen, ‘who was charming’, Holliday was presented with ‘a signed photo and a solid silver powder compact’ for her services. Male colleagues would not have received gifts. Both objects were reminders of Holliday’s short but exceptional work in the Diplomatic Service. Only seventeen years later could talented women, like Holliday, serve Her Majesty’s Diplomatic Service as wives and mothers. Image: Signed photograph of Queen Elizabeth II in 1956 by Cecil Beaton (permission received from Nate D. Sanders Auctions). 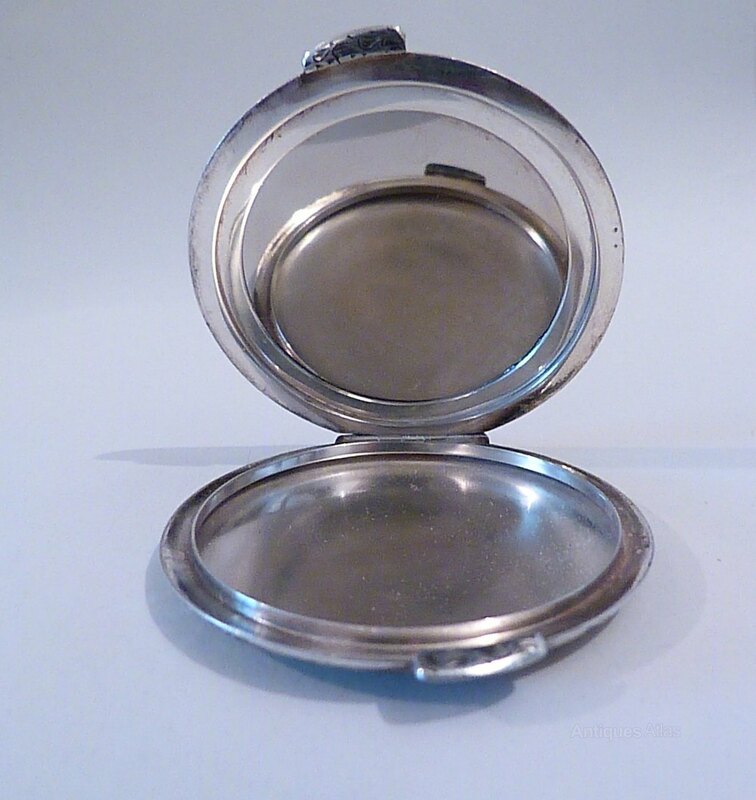 Click here to see the solid silver compact. Jane Holliday, Cocktails and Cockroaches: A Diplomatic Memoir (Milton Keynes: Author House Ltd, 2009). Of the many ornate wooden doors spread throughout Zanzibar’s ‘stone town’ – and there are many – the one I find the most intriguing, and indeed the most beautiful, is the door to the Khoja caravanserai, built in 1892. The door itself opens to a musafarkhana, a hostel of sorts, meant to house Khoja travelers (a trading community from western India) who would arrive in Zanzibar from around the Indian Ocean littoral. Countless migrants and their families would pass through this door upon arrival, usually after what was often a long and treacherous journey by sea. Crafted in a style that is quite unique to the island, with intense floral carving juxtaposed with beautiful calligraphy and ominous brass studs, the door is at once both welcoming and intimidating. Arabic inscriptions exist alongside Gujarati and English, a testament to the polyglot and diverse nature of the island. While it is indeed very beautiful, that’s not really why I chose it; in fact, it is quite mundane – doors are everywhere! This one, however, despite its ornamental grandeur, was meant to do something relatively humble: provide a space of shelter to those on the move. Image: Door to the Khoja caravanserai in Zanzibar, author’s own photograph.